Fashion children's clothing, trends, models. Trendy clothes for the young lady. How to dress a girl this winter? Before her parents up to 10 years is alwaysactual question, what kind of clothes to buy - because the child at this age is growing rapidly. In addition, the girl at a certain age already have their own tastes and preferences in clothing, has its own view on fashion, and often does not accept those settings that were trying to give parents. What to wear young fashionistas this winter? Dress up nice and original! Currently, children's fashion is on a hugefocus - the development and design of children's clothes designers are working and the whole industrial sector. 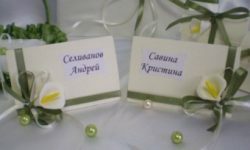 How not to be mistaken in this sea of ​​proposals and buy for really fashionable girls, expired this year things? Experts in the world of children's fashion say that by the seasonAutumn - winter 2016-2017 clothes for small dandies and fashionistas gets even greater elegance. In particular, models for children under the age of 10 lose the spirit of "unisex", become emphatically polar, as for small ladies and small gentlemen. Children's clothing becomes smooth clean lines,unanimously designers try to avoid formlessness clothes even for the youngest kids. Children's fashion, of course, inspired by the fashion world's adults - many models can be found in the one and in the other - and it does not look vulgar and ridiculous. Fashion designers offer to use in children's fashionAs much monochrome as possible, many black things appear that are diluted with pastel colors, khaki, purple and orange. The most fashionable color of the 2016-2017 season in children's fashion is red-brown, brick, red terracotta. As for items of children's wardrobe, in the cold season, winter 2016-2017 is the most relevant pullover. In fashion returns a large jersey,deliberately rough knit a la "Granny's work." Sweaters, jumpers, sweaters, cardigans, jackets, hoodies can be as plain or patterned with color, bright print. If the garment is selected monochrome, pale colors, the sweater in the scheme must necessarily be a bright spot. The upper garment of children is very strong position occupied by all sorts of Jackets and jacket with artificial fillers. 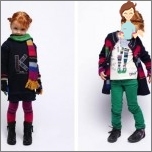 Designer collections for little fashionistas supplemented coat classic style. fabric can be as pastel or muted tones and bright, juicy. Designers of children's clothes with their collections for the winter of 2016-2017 remind that girls in the wardrobe of age under 10 must have skirts, sarafans and dresses. Style girl's wardrobe can be a romantic and preserved fashion flounces, ruffles, ruffles, bows, sequins, lace, sequins. If the summer children's fashion 2016 maintained a very laconic prints "Adult" collections - stripes, peas, then withThe arrival of autumn clothes for children can be painted with bright colors. The most relevant print - all kinds of flowers, even in clothes for boys. 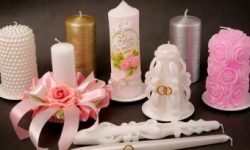 Girls can also add to the clothing accessories in the form of flowers, with floral motifs - hairpins for hair in the form of bouquets, rims with flowers, brooch-flowers. New in the children's fashion season winter 2016-2017 - reappearance of leopard print, and in all color variations. What is fashionable to wear to girls in winter 2016-2017? 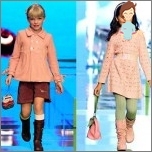 Today the world of children's fashion in its scope is quiteRepeats the fashion world for adults. 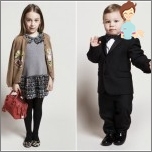 Moreover, many fashion houses create completely identical collections for parents and their children. In the winter of 2016-2017 in children's clothes appears more and more elegant, Emphasized rigorous models. In the winter season 2016-2017 very actual clothes for girls, made of velvet, Velor, corduroy. The sweaters, cardigans fashionable Scandinavian designs that are classic cold season. 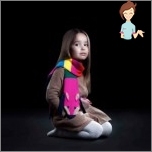 Instead, the girl can wear jackets poncho - This upper loose clothing looks elegant and stylish at the same time - without constraining movement of the child, she looks important and a walk, and in the room. In winter 2016-2017 a casual and festive fashionFor girls offers young fashionistas beautiful dresses with laces, frills, paillettes. Even dresses made from light, airy fabrics in this season will be appropriate to combine with coat of thick woolen cloth, Knitted things, warm boots and tights. In the wardrobe of a woman of fashion in winter 2016-2017 there may be a waistcoat or tweed jacket, In the style of "like my mother." Tweed and boucle fabrics are very fashionable this season, the actual decoration of the garment sequins, embroidery, applique. are appropriate and in the wardrobe of children. he most fashionable clothes will be the subject of girls, of course, fur vest. Fur can be trimmed hats, mittens and gloves, boots, hoods. How correctly and stylishly to combine clothes for girls in winter 2016-2017? As the children's fashion of the winter of 2016-2017 againTurned in the direction of leopard print, details of this coloring can be in the clothes of girls on skirts, shoes or boots, t-shirts, hats. Requirements in children's fashion - exactly the same as in adult fashion: leopard print should be in clothes in 1-2 elements, not more. Another actual combination in the children's fashion winter of 2016-2017 - a combination of "pripylennogo" pink and gray. Such combinations may be in a skirt and jersey girls, trousers and T-shirt. As the children's fashion of the winter 2016-2017 isA model of elegance, and includes strict in cut and coloring things, supplemented by other bright accessories in clothes, girls in the wardrobe may appear dresses in black and white color scheme. Very fashionable in children's clothing in winter 2016-2017. It should be borne in mind that large prints or applications with animal figures should be the "center" in the kit, put on the child. Other clothes can be without bright details, monochrome coloring. Included for walking in the clothes the girls, you can use clothing with contrasting cell and varnished shoes. 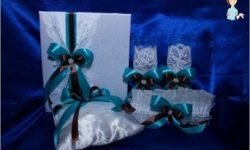 Such kits are suitable for children's parties, if they supplement the lace dresses with ruffles, ruffles. In the season 2016-2017, a small woman of fashion can alwaysChoose a set for yourself, taste, combine different accessories in clothes. Many fashion houses offer in collections for girls a combination of romantic dresses with wardrobe items in the style of "military" - a mix of tenderness and belligerence that fully corresponds to the general mood of the modern life of a small coquette. Clothing for women Eleganse. Stylish and durable! Apart Clothing: the pros and cons of this brand. Reviews of real women.